Made with French flour and a little sour dough for a more traditional taste and crust. Unlike most industrial bakeries we add a little pre-fermented dough, use gentle spiral mixers and allow our doughs to develop slowly before part-baking. 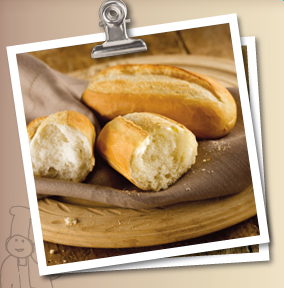 This traditional method gives our breads their distinctive flavour and a light crispy crust.